The Gold Beach Museum is also referred to as the Musee America - Gold Beach. 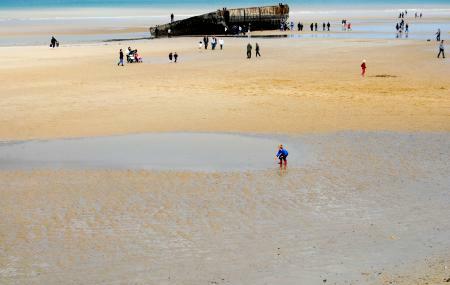 It is located in the town of Ver Sur Mer in Normandy and displays some of the history related to the D-Day Landing. The museum celebrates the 1st airmail flight between the USA and France and reveals dioramas that exhibit details from the battles during and after the D-day landings. The museum is a much recommended attraction to visit once in Bayeux, especially for people curious about history. The museum is closed from 1st November to 31st March. However, it can be opened on prior appointment. There is no admission fee for WWII veterans, tour guides, group leaders and coach drivers. Tickets to the museum can be bought at the museum. How popular is Gold Beach Museum? People normally club together Juno Beach Center and Bayeux Tapestry Museum while planning their visit to Gold Beach Museum.